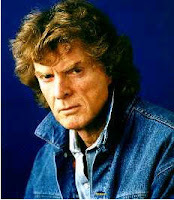 What Happened to Don Imus? By now it is old news for most people, but I rehash the interesting story of how the public reacted to Don Imus and his now infamous blunder. Yes, Mr. Imus was wrong and made his own bed. I cannot defend him and I cannot second guess his employers as they will react to public outcry and advertising revenue, which both spoke for themselves. By now Mr. Imus definitely knows the public does not consider his actions acceptable. But that part of the story is not my hot button for today. I wonder why the American people have accepted spewing of foul media across public airwaves. Don Imus was not the first and I can almost guarantee it hasn’t stopped in many places. I can only hope that the public attention given to this case provided enough momentum to start a general clean-up campaign. But it won’t happen unless we, the American public, demand it happen. We cannot put this issue aside just because one person lost their job. As a college student I worked for our university radio station. While I was both a newscaster and a disc jockey, I primarily supported the engineering function at the station and taught the new announcer class. Even though we were a fairly progressive college station I can remember our limitations on what could be broadcast. That period was 1980 to 1985. Today we far exceed that limitation. Let’s discuss television for a moment. In its competition with cable, broadcast television has extended its restraint to almost no boundaries if you happen to catch late night television. After all, they have to keep up with such programming as Adult Swim on Cartoon Network. I accidentally saw that programming one night and actually questioned what channel the children watched earlier that day. If your child happens to miss bedtime and you are out on the town after 10:00 PM you best have your television restricted. Otherwise your child will be fully educated upon your return. Why would a television channel named “Cartoon Network” revert its evening programming to “adult content” with the same low standards we are discussing? No, I am not against people doing what they wish in their own home. You are purchasing cable programming and I assume you know what you are purchasing. But I am concerned about what we accept in public media. I have no personal control over general broadcast and believe it is acceptable to limit what is carried over public airwaves. If that weren’t enough, have you listened to radio programming lately? At least you do find some artists editing the worst programming out. You can discover the editing by allowing your child to purchase the album and finding it is not edited. My earliest memory of an edited song was Charlie Daniels’ The Devil Went Down to Georgia. When I heard the album version I was astounded. Yes, I was naive. But even with editing, today’s songs include degradation of minorities of all categories and humanity in general. Why is it any more acceptable than that famous moment on MSNBC and WFAN? We cannot stop by simply speaking to one individual. We cannot let a few people use the Imus incident as political leverage and then ignore the root of the problem. Get involved. Speak your opinion. If you find what you hear acceptable, then maybe only Mr. Imus learned the lesson in this recent venture. And maybe that won’t even happen if he follows Mr. Stern and simply moves to satellite radio. Then you have spoken your choice when your purchase satellite radio. But, if you keep quite about the public airwaves have we really accomplished anything except encouraging Mr. Imus’s move to a new outlet?